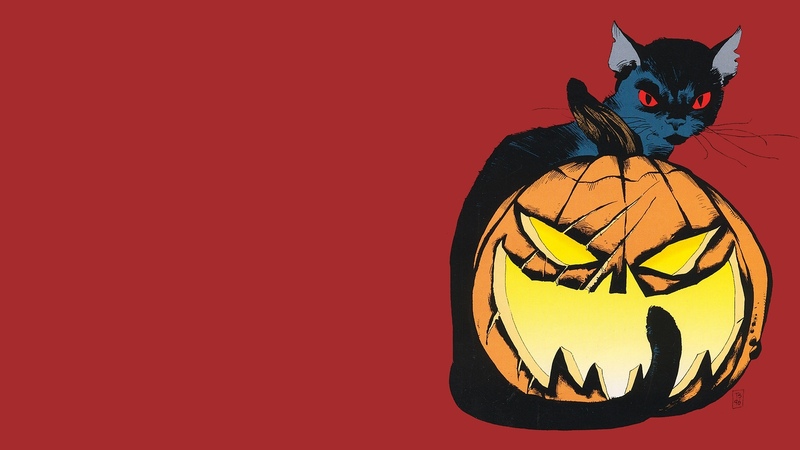 Batman: The Long Halloween (1997) – Sub-Review – Stuff and That. For the past few months, I’ve been pumping out graphic novel reviews pretty regularly and this month will be no exception! So, after reviewing such revered classics as The Dark Knight Returns and Arkham Asylum, I thought let’s give The Long Halloween a go. If you’ve read my Arkham review, you’ll know that I quite liked it, very much in fact. To give you some frame of reference, I don’t like this one as much, as revisiting AA made me love it a notch bit more. However, it’s still pretty flippin’ good, mate. Helmed by legend of the industry Jeph Loeb, the story of The Long Halloween is absolutely incredible, and might be some of the best writing put to the Batman character. It’s easy to see how it influenced later works, such as Nolan’s The Dark Knight, through not just the painfully obvious story parallels, but also the entire cinematic tone of the novel, making it feel more like a film noir than a graphic novel. However, it’s also really clear and easy to follow, which is definitely a plus in my book, because I’m a simpleton. I think Loeb really strikes the balance between simplicity and complexity really well in this, as well the story encompasses multiple characters and subplots, but always manages to make sure you know what’s going on. Matching the mood of the story perfectly is the artwork.Courtesy of Tim Sale, the heavy use of lighting in each and every single panel really emphasises the mystery found in the story. The film-noir tones I mentioned before in the story really work well with Sale’s style of artwork, which paints a really classy, albeit grim, picture of Gotham City and definitely harks back to the gangster films of old. However, Sale shows equal talent when inking some of the more fast-paced scenes in the book. For example, when we first see Catwoman, and the chase that ensues afterwards, the reader really gets a feel for the tensity of the scene through the subtle, but somehow prominent, bits of motion Sale uses, while splitting it up with really in-your-face double pagers. Quality stuff, mang. Overall, Loeb and Sale have made something beautiful in The Long Halloween. Shoehorning cinematic elements into a graphic novel isn’t easy, and could look lazy and forced. However, the duo take these elements and do something really spectacular with them. I can say with certainty that this is the closest I’ve seen to a book becoming more like a film, and I love films. The Long Halloween is definitely one of those classic Batman must reads. It’s been awhile since I last read it, I think it’s time for a reread. Defo, buddy, ’tis rather good. I remember reading The Long Halloween a couple of years back and absolutely loving it. It would rank at the very top of my Batman Graphic Novels list along with The Dark Knight Returns, Hush and Batman: Year One. Haven’t yet read Hush, but it is near the top of my list. I love this one too, my favourite is The Killing Joke, though.